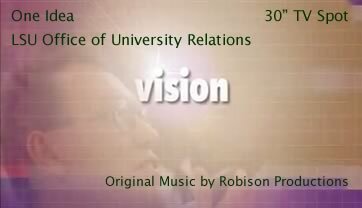 Through Robison Productions, I have provided music in a wide variety of styles and for many different commercial purposes. 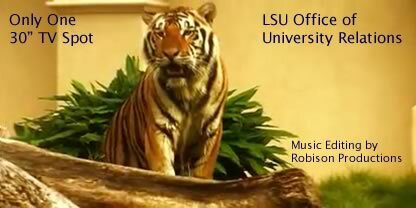 My commercial composition work includes jingles (radio spots), music for TV spots, and underscoring for video. There are a few examples in the media player below. 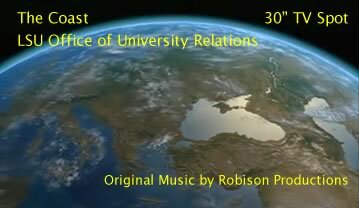 More information and additional samples of my music can be found on SoundCloud. 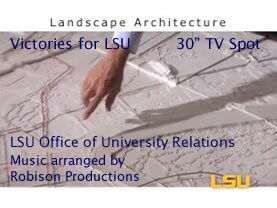 The next four video examples are 30″ TV spots produced by the LSU Office of University Relations with music composed, arranged, or edited by Robison Productions.